Have you locked your keys inside your vehicle while it’s running in your driveway? Have you lost your keys while standing in the hot Texas heat? Don’t panic, Granbury Locksmith is a locally owned and family operated lock and key business here for you 24 hours a day 7 days a week. We specialize in lockouts, origination keys, re-keying locks, and installing new locks on your home, business, or automobile. Our automotive techs are highly trained in all aspects of today’s automotive locksmithing, and to deal with all types of computer chip transponder key programming. We specialize in computer chip keys, re-keying locks, cutting keys by code, extracting broken keys and many more. 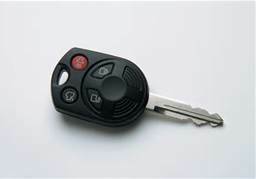 We have the latest equipment and technology to generate and program keys for the automobiles in today’s market at affordable prices for our customers. Older vehicle models are unlocked by inserting the key into the door lock on the door handle on either side of the vehicle. However, the possibility of car theft through key duplication pushed car manufacturers to think up new ways to keep their vehicles from being stolen. Transponder computer chip keys changed the whole game when it comes to vehicle security. Even though the locksmith has a hard time keeping up with all the changes, it’s the best option for the consumer. The equipment has more than tripled in value as the changes are so often. Now you have to keep in mind that you still have to program the chip key to finish the job. The updates are often which makes it expensive to the company as well as the individual needing the key or remote fob. Still, it makes it hard to steal the car! Keep in mind that we are much cheaper than the dealer, and you don’t have to tow your vehicle in and wait for a week to have your keys made. Sometimes a trip to the dealer can cost over $300 for the remote fob, then you have to pay the tow fee to get it there. Call us anytime for fast and friendly services. We are available 24/7 for all emergencies.